Click here to read the most recent 10-year Chinatown Neighborhood Plan (2017). 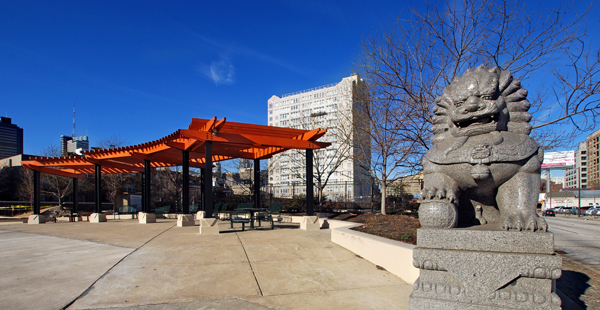 Since the Vine Street Street Expressway, PCDC has represented Chinatown in matters of zoning and development. As Chinatown’s Registered Community Organization, we work with City agencies and community members to ensure that Chinatown has a voice in land use and development matters. From promoting best practices for land use, to collecting community feedback on zoning map updates, we are devoted to community-driven, community-engaged efforts to preserve, protect and promote Chinatown. 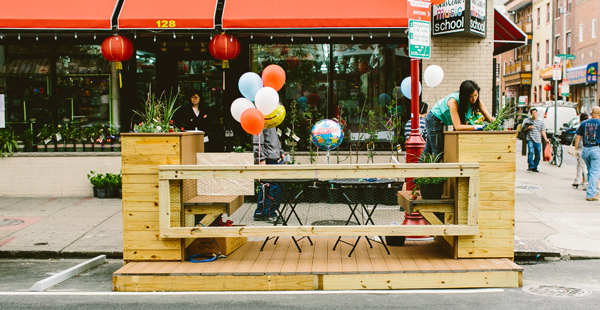 PCDC also actively works to develop innovative uses for Chinatown’s public space includes 10th Street Plaza and the Chinatown Parklet located on 10th and Cherry Street. PCDC in collaboration with Friends of the Rail Park held “Chinatown Community Dinners”, 3 community dinner conversations in fall/winter 2017 in the Chinatown community, including the Callowhill neighborhood. Served family style, these intimate (12 people each) “get to know your neighbor” dinners will build shared understandings among neighbors (with a focus on how the Rail Park could support and impact neighborhoods), build a sense of community ownership/stewardship for the Rail Park, and support equitable development in the neighborhoods surrounding the Rail Park and across the city. Funding provided by the Knight Foundation, Re-Imagining the Civic Commons grant.